The British pound today dropped to new daily lows in the early European session following the release of weak UK manufacturing and GDP data at that time. The Sterling was further weighed down by the uncertainty surrounding the Brexit issue with only 46 days left before Brexit day. The GBP/USD currency pair today dropped from an intra-day high of 1.2939 to a low of 1.2857 and was almost guaranteed to end the day near its daily lows. The currency pair’s decline was initially precipitated by the release of mixed UK Q4 GDP data, which was not much of a surprise to most investors. According to the Office for National Statistics, the country’s GDP grew by 0.2% in Q4 as expected, while the annualized print came in at 1.3% missing consensus estimates by 0.1%. The latest manufacturing production data released at the same time also missed expectations by posting a 0.7% contraction versus the expected 0.2% expansion. The combined releases triggered the cable’s drop to levels below the crucial 1.2900 resistance line. Investor sentiment towards the pair remained cautious as they waited for major Brexit headlines, which were not forthcoming. The pair headed lower in the American session as the US dollar rallied higher as tracked by the US Dollar Index, which hit a high of 97.08 today. The currency pair’s short-term performance is likely to be affected by Brexit developments and tomorrow’s speech by BoE Governor Mark Carney. 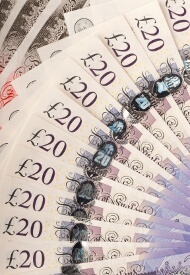 The GBP/USD currency pair was trading at 1.2857 as at 17:59 GMT having dropped from a high of 1.2939. The GBP/JPY currency pair was trading at 141.96 having fallen from a high of 142.56.